How Can I Speak English Like A Native Speaker? I hear that question very often. What I would like to ask you though is, what are you are prepared to do about it? How far are you willing to go? I mean how badly do you want it? How badly do you need it? The truth is most English learners don't. But first, what is native-like English? Is it just good pronunciation? Is it mastering a certain English accent? Is it fluency? What is it exactly? Well, let us keep it simple and agree that native-like English is the level of proficiency at which you can communicate in the language at least as well as you do in your own mother-tongue. Assuming that you do not suffer from any speech impediments or brain damage, you are able to speak and understand English effortlessly in any situation that does not require expert knowledge in the subject matter. 1. The Impact of the learners' native language on English. Can I detect an impact from the speaker's mother tongue on his English speaking and listening? Does the speaker pause often to try to translate what he wants to say from his mother tongue into English? Is it hard to understand the speaker's English because the sounds are not clear? Does the speaker understand native-like English at natural speed? Does the speaker understand the English slang and idiomatic expressions commonly used in the region she resides in or wishes to belong to? 2. The learners' speed and accuracy in speaking and understanding English. Can the speaker express himself/herself just as well as he/she does in her native language? That does not imply that the speaker must use flawless grammar and impeccable vocabulary to be deemed as such. As a matter of fact, many native speakers do not due to a number of reasons, personal, social or financial. The right question to ask is whether the speaker is able to use grammar and vocabulary accurately enough for the hearer to comprehend the message originally intended without having to make any effort to figure it out. Like motivation, passion is the fuel that keeps you moving forward despite all the difficulties and challenges of learning a new language. 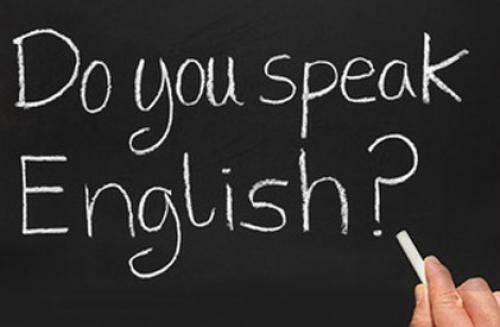 If you are not passionate about English, it will be very unlikely that you will reach native-like proficiency in it. You will probably give up soon after you begin learning it or simply be content with a satisfactory level of proficiency, which is the case of many English learners. I am not implying that is a bad thing, I am simply stating a fact. Not all English learners aim to speak English like native speakers anyway and frankly most of them do not need to. To get to a level of proficiency in a foreign language where you are taken for a native speaker of that language, you ought to have so much patience as that is not only a question of days or weeks, but rather months or even years depending on age and aptitude. You ought to be ready to deal with what is going to seem as insurmountable challenges and also with an exhausting feeling of helplessness and hopelessness. Patience will be your weapon against that awful feeling of disappointment and despair. You can have all the passion and patience there is in this world, but if you don't find the time to practice the language, it is simply not going to happen. When I say practice, I do not mean the half-an-hour practice you do before or after work. I mean hours of practice and being immersed in an English environment. That is not very realistic for many English learners who only have limited access and exposure to English in their home country. Therefore, for many, reaching native-like proficiency in a foreign language is and remains an unattainable goal. In conclusion, reaching native-like proficiency in English is not an attainable goal for many English learners, not because it itself is an impossible thing to do but only because it requires a combination of skills, conditions and abilities not easily found in most language learners. It also requires three indispensable elements: passion, patience and practice. If you are a passionate learner of English who is having trouble speaking fluent English or understanding native English, then I would like to invite you to try our SKYPE Pronunciation Lessons and feel the change instantly. Book your 1/2 Free Trial Lesson today and get ready to be impressed! My teaching method is now taught by an award-winning ESL school in Australia, Ability English. I have designed several successful pronunciation courses, written unique curricula and trained many ESL teachers in teaching pronunciation in the classroom. I have spoken at conferences and conducted a number of seminars and workshops focusing on pronunciation learning and teaching. You will be in the hands of the best in the industry. Go to our English website and book your 1/2 free trial lesson NOW!